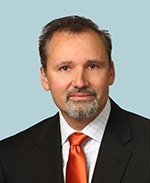 On October 1, 2015, Visa, MasterCard, Discover and American Express will implement a “liability shift.” What this liability shift means is that the party (issuer, acquirer or merchant) that did the least to prevent card-present fraud from a technology standpoint will now bear the responsibility for certain types of fraud, such as counterfeit and possibly lost/stolen fraud. To reduce liability, businesses can implement the new EMV chip payment technology. 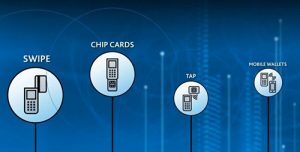 EMV chip technology adds security to the transaction by verifying the cardholder is there in person presenting the card for payment. Chip cards look like a regular plastic payment card, except they have a microchip embedded in them that greatly reduces the chances of the card being counterfeited. Source: Smallbiztrends Got an interesting Fast Fact for a business audience? Please send and share it with our 1,653 subscribers. Click here to subscribe to Read|Delete and receive fast facts delivered weekly. mmercurio@offitkurman.com | 301.575.0332 | Biz Tek Today You can also connect with Offit Kurmanvia Facebook,Twitter,Google+,YouTube, and LinkedIn.